Bone spurs – these bony lumps grow on the bones of the spine and are very common in patients affected by osteoarthritis. They can compress nerve roots or the spinal cord itself. Bulging discs – also known as a slipped or herniated disc. Around 90% of cases are seen in the lower back and can cause pain and affect mobility. This narrows the spinal canal and causes pressure on the cord and surrounding nerves. Degenerative disc disease – normal wear and tear that affects the discs in your spine. This leads to lack of cushioning in the spine and the cord may become squashed. Spondylolisthesis – a condition in which one of the vertebrae in your spine slides forward over the bone below it, which can cause the spinal cord and nerves to become compressed. To perform a laminectomy, an incision needs to be made into your back and so the procedure is completed while you are face down. You will also be given a general anesthetic so that you will not be conscious or in any pain during the procedure. Once the incision is complete, your surgeon will lift the muscles in your back from the back bone, so that the spine is exposed. This will allow your access to your lamina, bone that forms the backside of the spinal canal and a roof over the top of the spinal cord. 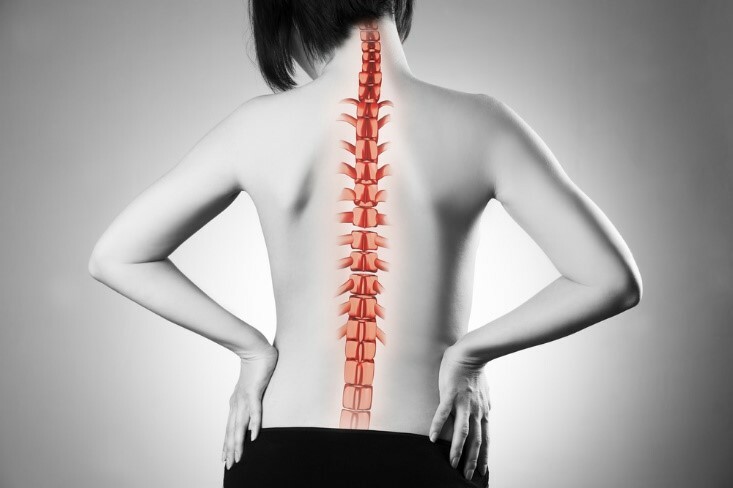 Each spinal vertebra has two laminae, which are designed to protect the spinal cord from damage. However, it is this area of bone that needs to be removed to create space around an area of the spinal cord that has become compressed. In some instances, it may be necessary for your surgeon to perform a procedure known as a spinal fusion at the end of your laminectomy. Spinal fusion is usually needed when a great deal of bone needs to be removed and involves grafting new bone from another part of your body (usually your pelvis) into the spine to offer greater stability. A standard lumbar laminectomy usually takes in the region of four to six hours, depending on the complexity of your case. You can expect to stay in hospital for between one and three nights while the initial healing period occurs. During this time, you may need a drain to take fluid away from your wound, fluids supplied intravenously so that you don’t become dehydrated, and possibly even a catheter if you struggle to urinate. You will almost certainly be in considerable discomfort and will be provided with a pump to deliver pain relief directly into your system every few hours. Your care team will be keen to get you moving around as soon as possible after your surgery as inactivity can increase the risk of complications such as a blood clot. If you have non-dissolvable sutures, you will be given an appointment to return to get these removed before you go home. In the meantime, you will be given specific instructions to follow regarding your post-operative care. A complete recovery from a lumbar laminectomy can take between four and six weeks, possibly longer if your job involves heavy lifting or long periods of time spent driving. Your surgeon will be able to give you a more specific recommendation for your return to work. If you would like further information regarding a lumbar laminectomy, please do not hesitate to contact our friendly, knowledgeable team.